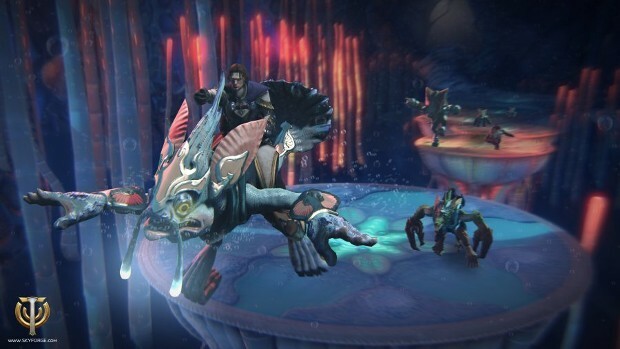 A new raid, featuring a new enemy, is headed to Skyforge. The leader of the Oceanid army, Tol-Monter, isn’t exactly pleased with the defeat of some of his army and is coming to take care of things himself. The Tol-Monter raid is available in two forms — Training and Champion — and can be taken on by characters with 170,000 might or more. It’s suggested that everyone going after this guy be equipped with fifth generation rare items, although epic is preferred. If players make it out alive after taking on the Champion version, they will be rewarded with a Divine Deed and an Avatar Trophy. Those who defeat the training version will receive Divine Deeds and a special Khelp mount for their initial victory. More details on this new raid can be found on the Skyforge site.